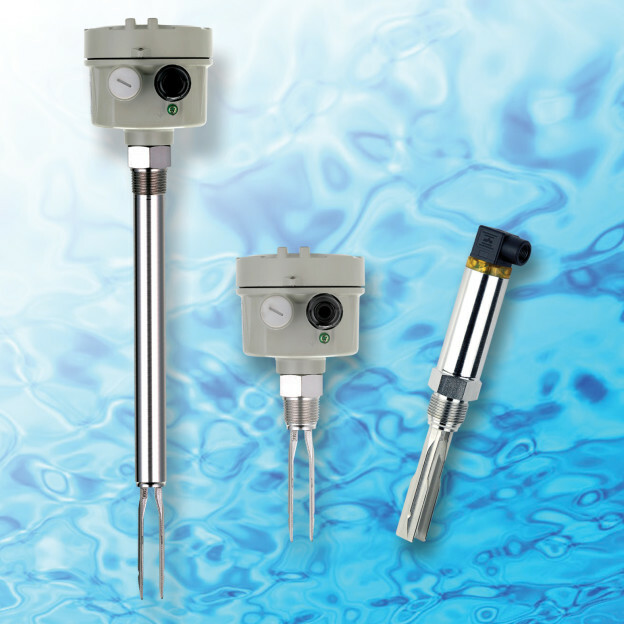 Aplus Finetek Sensor, Inc. is pleased to announce the availability of its latest product line, the SC series vibrating tuning fork liquid level switch and point level sensor for liquids. The SC series uses state-of-the-art piezoelectric crystal and electronic technology to design and manufacture a point level sensor that does not require any calibration, unlike capacitance proximity sensors, capacitance and RF admittance liquid level switches and point level sensors. The SC series is a vibrating tuning fork liquid level switch and point level sensor that can be used to detect the presence and absence of liquids and slurries over a very wide range of material densities from S.G. of 0.7 and above. The SC series is available in compact and standard types of packages and enclosures, can operate on AC, DC power or be provided with a universal AC/DC power supply. Units are available with either solidstate NPN/PNP or relay outputs. Fluid viscosity can be up to 10,000 cSt. The SC series tuning fork liquid level switch and point level sensor can be provided with either a short (40mm length) or standard (100mm) fork length. Explosionproof rated versions and standard and extended lengths are also available. The SC series uses the piezoelectric crystal and solidstate electronics technologies to produce vibration in the tuning fork element at a specific frequency and receive electronic feedback. When the probe element is covered or in contact with the target fluid the vibration is dampened, the electronic feedback changes and presence of the material is thereby sensed by the electronics, which changes the state of the sensor output to indicate material presence. When the probe element is again free of the target material the vibration again is produced, the output state reverts to indicate material absence. The SC series is a cost-effective and reliable liquid level switch and point level sensor. For more information look at our SC product page and contact Aplus Finetek Sensor, Inc. at 815-632-3132 or email us at info@aplusfine.com.